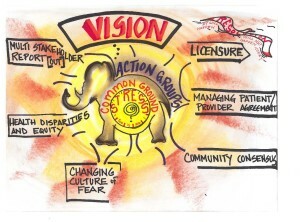 The first Home Birth Consensus Summit held in 2011 fostered the dialogue needed to find common ground and spark constructive action towards safe, culturally competent, and respectful care for women who desire home birth. Following the Future Search model, delegates explored every facet of the existing system, engaged in frank and productive conversations, and proposed ways to move forward in the future. All stakeholder delegates were engaged in this consensus-building process. By the close of the Summit, the stakeholders and leaders present arrived at nine vision statements which represent areas of common ground and shared priorities for further discussion and action. In creating these statements relating to maternity care and birth place in the United States, we acknowledge the complexity inherent in each topic of concern, as well as some disagreement about how to best achieve or demonstrate these principles. While all agreed that there is great value and need for further work in these areas, action plans that flow from these principles may be carried out by individuals or in newly formed, multi-stakeholder Task Forces according to their own, or shared, values and priorities. Summary statements such as these can be interpreted differently by different readers. Therefore, although there was both unanimity and consensus about the topics addressed, there was not necessarily unanimity as to all of the specific words chosen to create the statements. For example, words such as “autonomy”, “independence”, and “collaboration” may have different implications for practitioners, policy makers, and consumers. In addition to clinicians, consumers, health professional educators, insurers, lawyers, ethicists, administrators, and policy makers, the participants included researchers with expertise in epidemiology, public health, sociology, medical anthropology, legal, health policy and clinical research. However, the goal of this summit was not to examine, debate, or form a consensus statement regarding the evidence published regarding safety or maternal-newborn outcomes of planned home birth. Rather, the goal was to discover areas of common ground among these diverse stakeholders, when considering the future of home birth in the United States. By addressing our shared responsibility, we were able to identify several important and relevant topics that may benefit from ongoing multidisciplinary engagement. 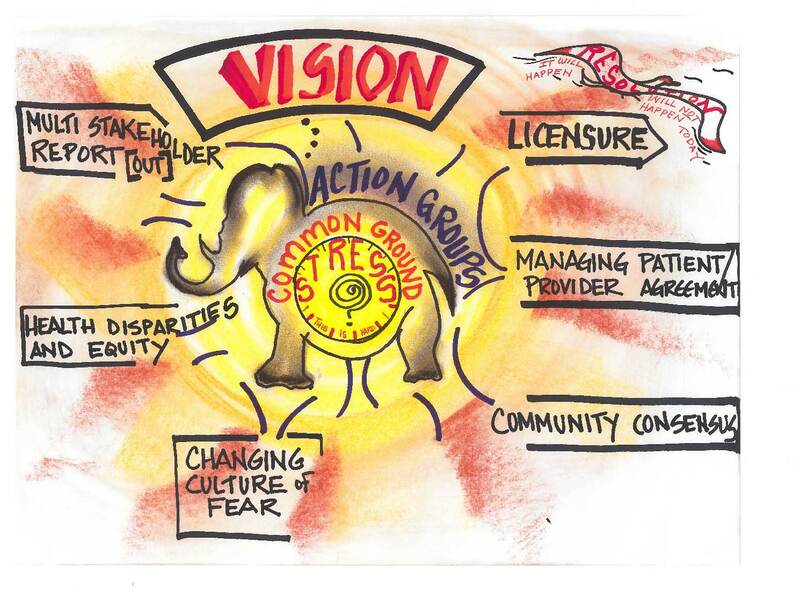 Hence, these Common Ground Principles are intended to provide a foundation for continued dialogue and collaboration across sectors, as we work together towards a common goal of improving maternal and newborn care for families choosing home birth.